Water Through Rock -- In the studio of Edmonia Lewis (c.1845-1911— first woman of African-American heritage to earn an international reputation as a visual artist) in Boston (1863), Edmonia is working on a bust of John Brown when the sculptor Anne Whitney (1821-1915) bursts in, upset because her commission to sculpt a statue has been taken from her when the committee discovers that she is a woman. The actress Charlotte Cushman (1816-1876) rushes in to persuade Anne to sue the committee, while Edmonia is trying to convince her patron, the white abolitionist Lydia Maria Child (1802-1880), that moving to Rome where Miss Cushman has encouraged a group of female sculptors to work and live, is not deserting the abolitionist cause. Finalist, Hollywood Black Film Festival (title: 'Wild Fire'); Honorable Mention, Script Category, Women's Independent Film Festival, Los Angeles; Script Reading, Excerpt, New York Women in Film and Television at American Academy of Dramatic Arts, NYC. The Letters -- inspiration comes from the Sheppard case, which the T.V series and the film THE FUGITIVE are based on. The Sheppard case, which was called the “crime of the century,” deals with a doctor accused and convicted of murdering his wife in their home. 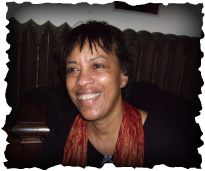 The Sheppards’ son and journalist Cynthia L. Cooper wrote a book, Mockery of Justice, about the murder in an attempt to clear Dr. Sheppard. Based on those efforts, 'The Letters" is a fictionalized version of the journey to solve a murder by Sharon and fictional daughter, Dawn, who is determined to clear her father’s name. Semi-Finalist, The Golden Brad Awards. Semi-Finalist, Writemovies.com. The Tower -- begins with Dana, an African-American woman (20s), holding the murder weapon and standing over the body of Laura, an Irish American woman (20s). Through a series of flashbacks, the audience learns that Dana teaches in a woman’s prison, where she met Laura. After Laura's parole, Dana helps her get a job at a church, which is made up of a group of multicultural characters. Laura discovers damaging information about various important members of the church. She blackmails them, giving all a motive to kill her. During the second part of the mystery, Detective Jones and Dana, through a series of clues, that turn them in numerous directions, including back to Dana, discover the true murderer, who has a scam going that is based on a Communion Cup that is worth over a million dollars. Through this intricate mystery, Dana and Detective Jones fall in love. Honorable Mention, Los Angeles Film and Script Festival. Seasons -- explores the deadly consequences in a small village in France during the 1890s where women and children are being abused by men and the law is not there to protect them. Therefore, the midwife uses her skills to protect these women and children at any cost, even murder, putting her in direct conflict with the village priest, whose nephew is a doctor and returns to the village and begins to investigate the untimely deaths of the men. Semi-finalist, The Chesterfield Film Company/Writer’s Film Project. "Low-Lives" -- takes place during 1855 in the Lower East Side of New York City in a suicide saloon, where people go to kill themselves. The main characters are Dominique (a free black), Kathleen, and Molly Wong. Dominique and Kathleen win the saloon from the notorious McGrath, an Irish Immigrant, who is the leader of one of the most ferocious gangs in the Bowery. McGrath has connections with the political world of the Tammany Hall Democrats, who have their own political interest in the Lower East Side. All of these very diverse characters find themselves trapped in a web of intrigue that is played out against the backdrop of the suicide saloon. The question becomes how can the despair of such a place be transformed into a place of hope? The answer is the transformation of the suicide saloon into a stop on the Underground Railroad where run-away slaves are able to find freedom. Betrayal -- follows Laura, an Irish-American housewife in her early 40s from a suburb in Massachusetts, on her first trip to Paris, France. While there, she meets, what appears to be by chance, an African-American woman named Charlotte (late 30s). It is revealed that Charlotte was a student in Paris the same time that Laura’s father lived there. As the story progresses, there seems to be too many coincidences, all leading back to Laura’s father, who is now dead. Suddenly, Laura finds herself a key player in the search for a legal document that has repercussions in an African country, to a mother wanting to protect her son, and for the C.I.A. By the end of the story, this naive housewife from Massachusetts has managed to find what her father hid from all involved in this life and death search.